Smaller pieces, very fast start in kindling stack. CO spike at beginning, PM spike. Air closed at 72 minutes with glowing coal bed. Fuel stack. 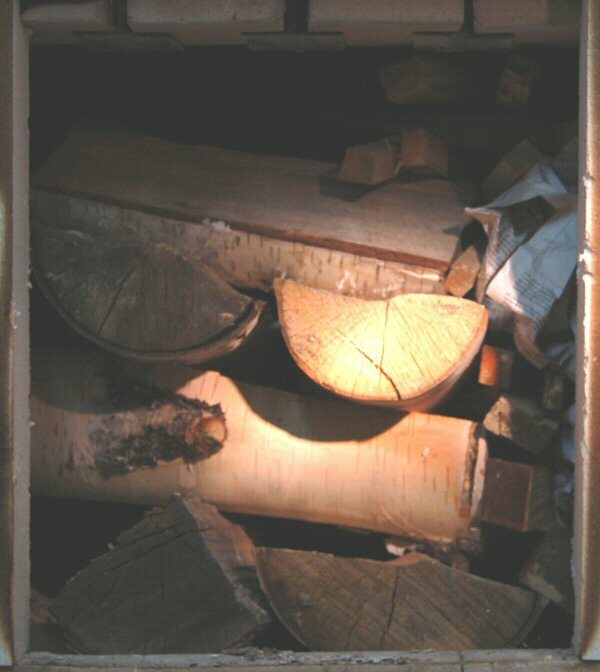 Kindling is on the right side, layered with newspaper. 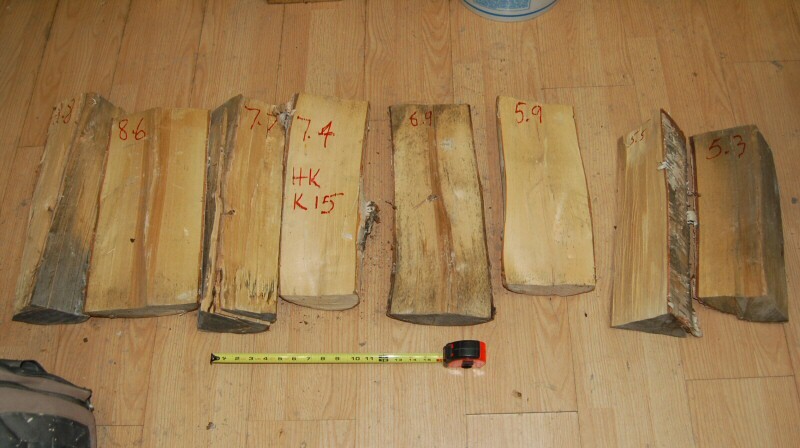 Fuel pieces, numbered 1 - 8 from left to right, heaviest to lightest piece.